you may want to verify the integrity of the file with the Test utility in the MetaStock Downloader. 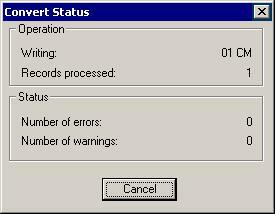 This utility will scan the files that you select to see if there are any internal errors. You will receive a detailed report which lists each data file and any errors and their location within the file. The utility can be started by selecting Test from the Tools menu. 1. 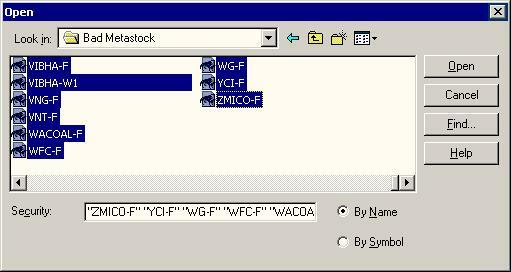 Open the MetaStock Downloader. 3. 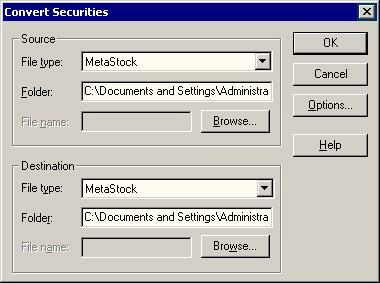 For the Source and Destination File Types, select MetaStock. 6. Now click on the Open button. 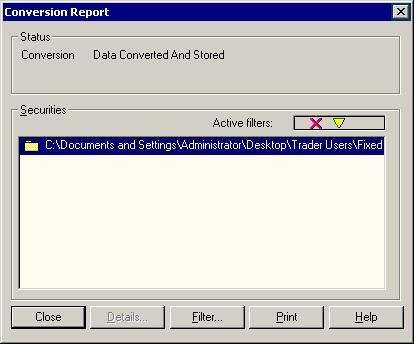 You should now be back at the Convert Securities Dialog box. 7. Now click on the Browse button for the Destination files and point to a directory where you would like your good MetaStock files to be saved. 10. 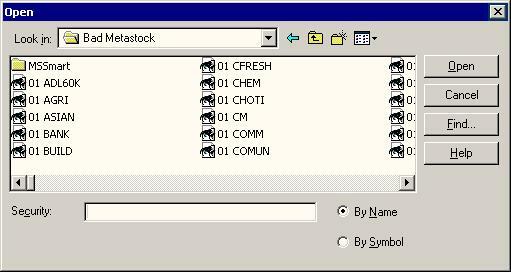 Now over in the Trader, you will need to remove the directory that contained the bad MetaStock data and add the directory that contains the good MetaStock data. Use the Tools, Data Sources dialog for this.